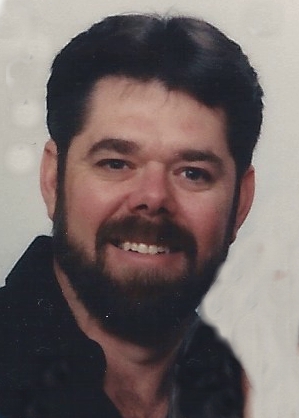 King City, MO…….David E. Smith, 62, of King City, Mo., went to be with the Lord on Tuesday morning, February,13, 2018 @ Mosaic Lifecare, in St. Joseph, Mo. Funeral service will be held @ First Christian Church, King City, Mo. on Friday, February 16 @ 2 pm., with Pastor Jonathan Garlock,II. officiating, Anna Garlock, pianist & Pastor Jonathan Garlock, Sr. vocalist. Visitation will be held one hour prior. A private family inurnment will follow @ Star Chapel Cemetery. Arrangements have been entrusted to the Turner Family Funeral Home of Maysville, Mo. David was born in rural King City, Missouri, to Guy G. & Ethel A. Smith, on September 17, 1955. He went to school @ King City, graduating High School in 1973. David was born on a farm & worked as a successful farmer all of his life. He loved God & His church faithfully, serving as elder & deacon @ First Christian Church for many years. He also served on the board of Star Chapel Cemetery. David is survived by his beloved wife Janet G. (Cain), of the home, mother, Ethel A. Smith, of Savannah Mo., children: David Allen (Kim) Smith, Kansas City, Amy (J.B.) Stafford, Savannah, Mo. Jenny Saunders, King City, Katie (Pat) Moore, Springfield, Mo. Sisters: Bertha (Bob) Caldwell, Mary (Dennis) Swink, Ruth (Larry) Heckman, Karen (Russ) Potter, & Brother: Harold (Sue Ann) Smith. 10 Grandchildren & 1 Great grandchild, numerous other relatives & a host of friends. He was preceded in death by his father & 2 sisters, Peggy & Judy. Memorial donations may be made to: Pleasant Hill Bible Camp in care of Turner Family Funeral Home, Maysville, Mo. I’m so sorry for your loss. David was a very good man and seemed to always be happy. You all are in my thoughts and prayers. Our family is so very sorry for your loss. We send out our prayers to everyone at this time! We are so sorry for your loss Janet.. You and all the family are in our prayers. Turner Family Funeral Home © 2019. All Rights Reserved.